The future of online shopping is here and is custom built around your needs to speed up shopping. 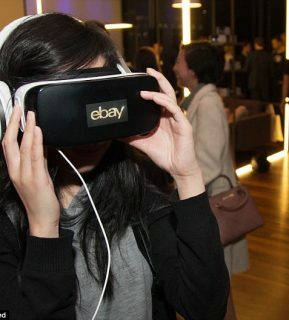 Australia's most iconic retail giants has teamed up with eBay to change the way you experience online shopping. It is very simple to you, all it requires is a VR headset and an IOS or Android device with the eBay department store app and off you go! Once the headset is on you can select your areas of interest which then builds the store around you. From then you can get exploring through the endless possibilities that eBay has to offer by browsing more than 12,500 products before adding them to your cart. You can navigate through the product ranges just with your gaze by hovering over a certain product. A 3D model of the products will appear with additional information icons available for you to find out more about that specific product. Adding an item to the basket is just as simple, all you have to do is hover over 'add to basket' button which will take you on to complete your purchase. With over 12,000 products available in the inventory there's a good range of products to choose from and all ranges, prices and stock information are updated in real-time. So far this has been tested in Australia where it was a great success and is currently only linked to eBay.com.au. 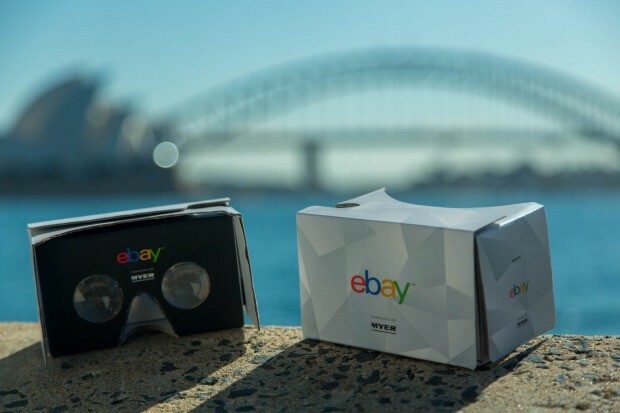 'In January to April eBay sold tens of thousands of VR headsets which is proof that Australians are ready for the technology and they want to get their hands on it' says Mr Brennan (Senior Director Marketing, Advertising Sales & Retail Innovation for eBay).